If we are the members in multiple social media sites, there are suitable web services and mobile apps which will help us to effectively manage multiple social media accounts from one single platform. +GrabInbox developed by Nischal Shetty and Sameer Mhatre is an all-in-one platform to manage multiple social networks. GrabInbox easy to use interface houses multiple Twitter accounts, Facebook fan pages and Linkedin accounts. Using GrabInbox ‘Schedule Message’ option we can save time by posting tweets & messages earlier to appear on twitter and facebook. Just like the same as GrabInbox.com there is another social media management service at +HootSuite which is quite popular having 5 million users worldwide using it. Using HootSuite we can manage multiple social networks like Twitter, Facebook, Google Plus, LinkedIn, Myspace, Foursquare, WordPress, YouTube, Flickr and Mixi. Not only online but also in the mode of app we can install HootSuite social media management tool for use in smartphones. 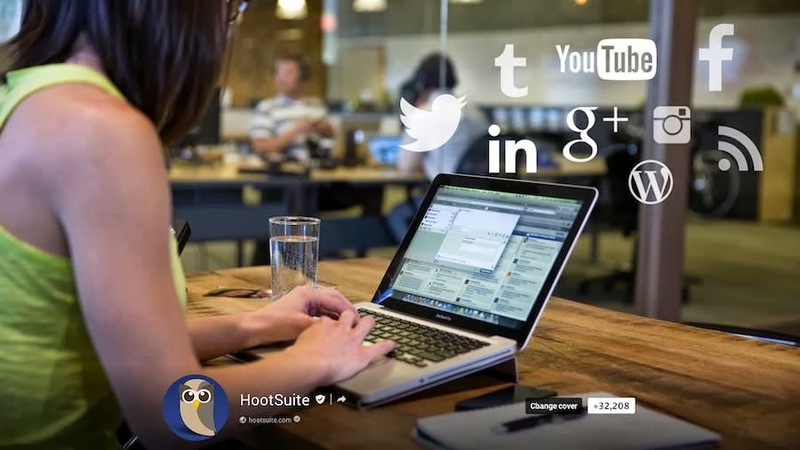 Download HootSuite app for Android, iPhone and iPad. To manage not only social networks but also all email accounts from one single platform, +Alternion is the best site. More than 220 social networks can be attached in this. Not only social network like Facebook, Twitter, Google+, Flickr, Picasa etc, but also Gmail, Hotmail, Yahoo!, AOL like all email services can be accessed. We can view photos, videos by browsing. Through search we can search the respective channel and videos.